We would like to be the perfect start to your journey. 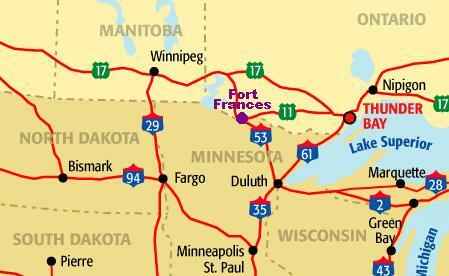 We provide a first class passenger van transportation service to destinations of your choice. And at the end of your vacation, our driver will be there to transport you back to the International Falls Airport or whereever you choose. 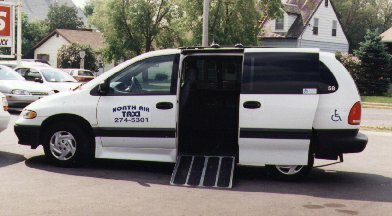 Our vans are set up for 1-14 passengers (plus our driver) and a reasonable amount of luggage. Please call us with any questions and we will gladly help you out. We suggest you call in advance if you require this service. We operate Monday to Friday from 9:00 a.m. to 6:00 p.m. and weekends by special requests. One question we receive quite frequently is, "How do you come up with your rates?" North Air Taxi does not control the rates for the taxi system. That responsibility is regulated by the Town of Fort Frances.